A photo for the weekend. This image is from my trip to the Palouse and brings back memories of a wonderful day spent with great people and terrific instructors. The Palouse is not only about rolling hills and abstract landscapes. It is also about old cars and trucks as well as wide open skies. 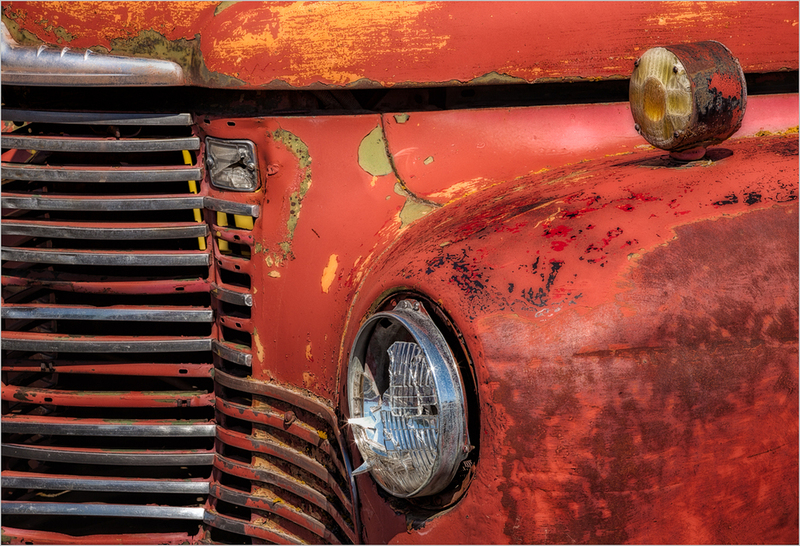 Old cars and trucks are very much a part of the Palouse. I photographed this one in an old car and truck 'graveyard'.